Recently we experienced deadlocks on one of our staging servers, so I wanted to capture those deadlocks using Extended Events. This how I did it. 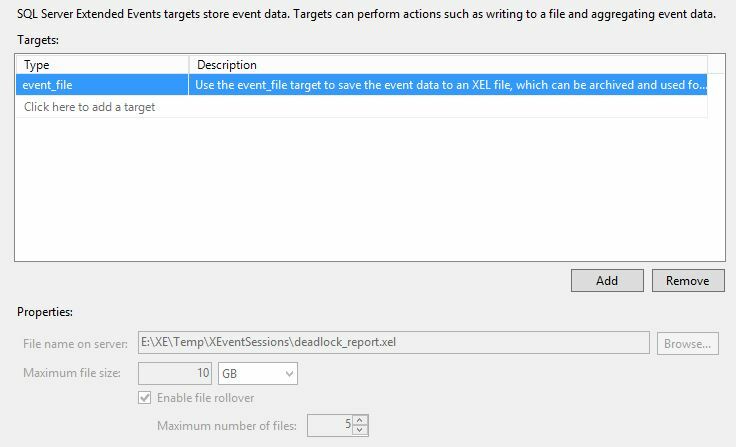 I managed to replicate and capture deadlock event on my staging environment and this is how you read results from extended events. If you have lots of events and you want to manipulate the XML values this can be really slow process. In that case you can dump the event data values into temporary table first. In this example I am querying file target directly.